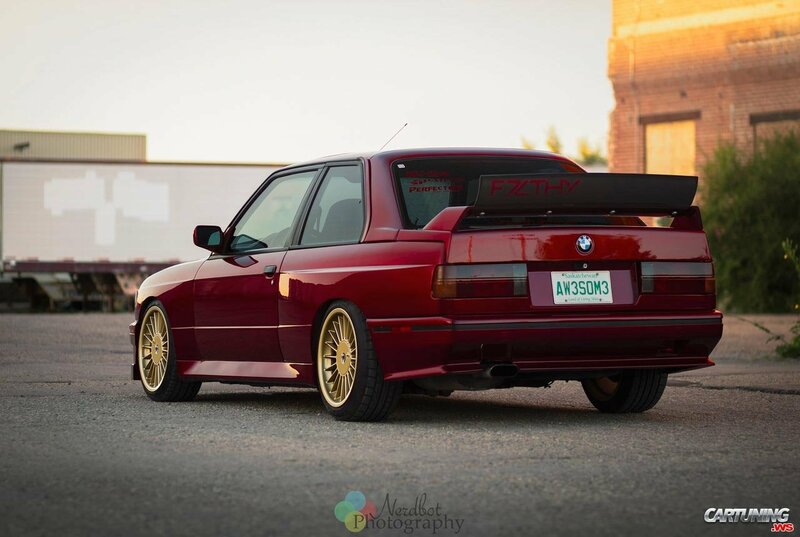 Awesome M3 E30 from Canada. Dark red, gold wheels Alpina, spoiler with flap. And else many interesting changes inside.